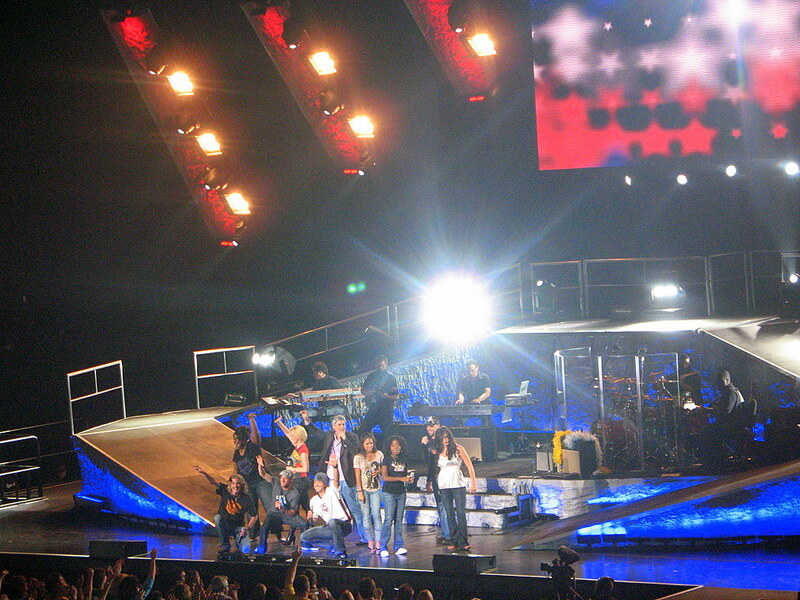 No silly, I wasn't at tonights American Idol finale show in Hollywood, this is from the 2006 Idols road tour. The 2006 version toured through Minnesota last summer performing at the Xcel Energy Center in St Paul. It was an enjoyable show. My kids loved it as this was their first concert they had ever been too. Congrats to Jordan Sparks, the 2007 American Idol winner. She gave me goose bumps when she sang the 'Broken Wing' song on Tuesday. Blake Lewis had the most original song ever this season with Bon Jovi's 'You Give Love A Bad Name'. Nice picture. It is hard, sometimes, to get a good picture at such an event but you pulled it off very well. Nice shot and interesting story.